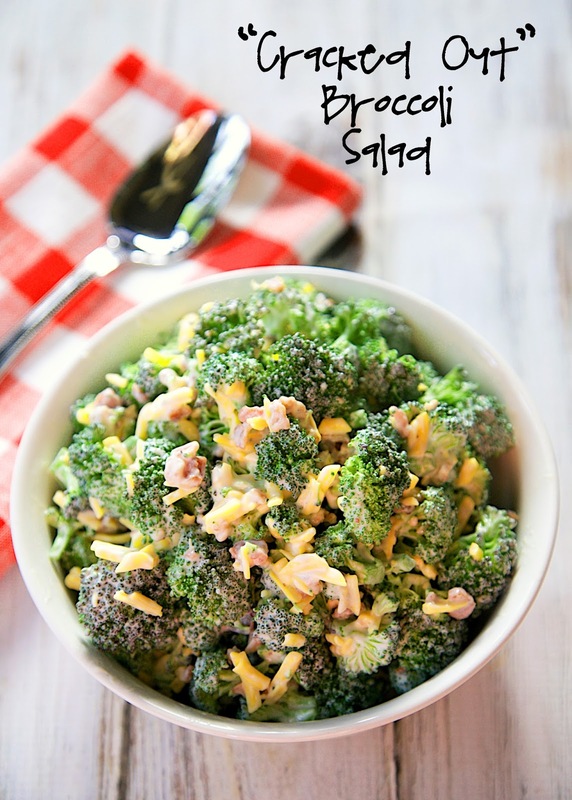 "Cracked Out" Broccoli Salad - fresh broccoli florets tossed with Cheddar, Bacon and Ranch - even broccoli haters love this quick side dish! Great for summer potlucks. Can make ahead and refrigerate until ready to serve. We are in love with this "Cracked Out" Broccoli Salad!! We can't get enough of it. 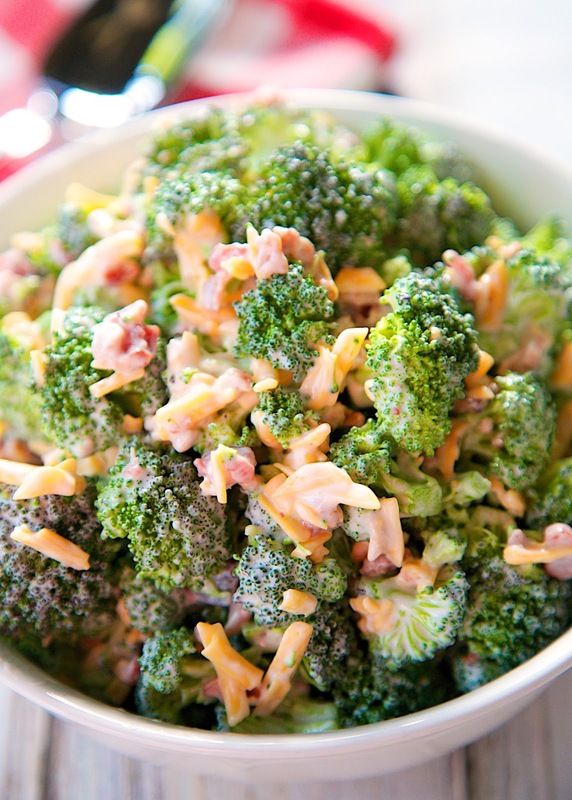 Cheddar, bacon, Ranch and Broccoli - I mean, how could we not love this quick side dish?!!?!! Even broccoli hates love this salad. I used a package of pre-chopped broccoli florets in this recipe and tossed it with Ranch dressing, cheese and bacon pieces. You can make this the day before you are serving it and it will taste fine. We ate this a couple of days in a row with lunch and dinner. It is a great recipe for a summer potluck! Mix together all ingredients, cover and refrigerate until ready to serve. Sorry for my English. Do you cook the broccoli or is the broccoli in your package cooked? Greetings from Hamburg. The broccoli is not cooked. Use it raw.